Buying land in Belize is easy for everyone, locals and foreigners alike. Don’t be intimidated into thinking that prime beachfront properties with scenic views will be out of reach. 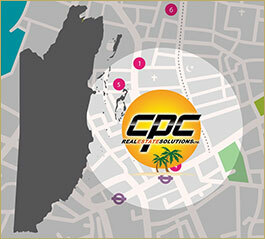 The Belize real estate market is very flexible and has the right property to suite every desire and budget. 1. Who may purchase land in Belize? Everyone. Unlike other countries in the region, Belize doesn’t have any purchasing restrictions and grants full land titles to locals and non-Belizeans alike. 2. How much do property taxes in Belize usually cost? Properties are assessed by the Department of Natural Resources and property taxes are due on the April 1st of each year. Belize's property tax is considered to be one of the lowest of any of the Commonwealth countries. The amount paid for property tax in Belize depends entirely on the type of property and is usually between 0.25 - 1.% of the assessed value. Property transfer taxes when you prucahse the property are 5% for residents or Caricom country affiliates, and 8% for non-Belizean's. Attorney fees (for conveying the property) usually range anywhere from 1.5 and 2%. All of these taxes are based on the total purchase price of the property. For more information on Belize Investment opportunities, please click here.